Acumulo cosas y luego me olvido que las tengo. A finales del verano pasado esta crema de manos me vino incluida en una cajita, la llevo usando desde hace unas semanas y me tiene enamorada. 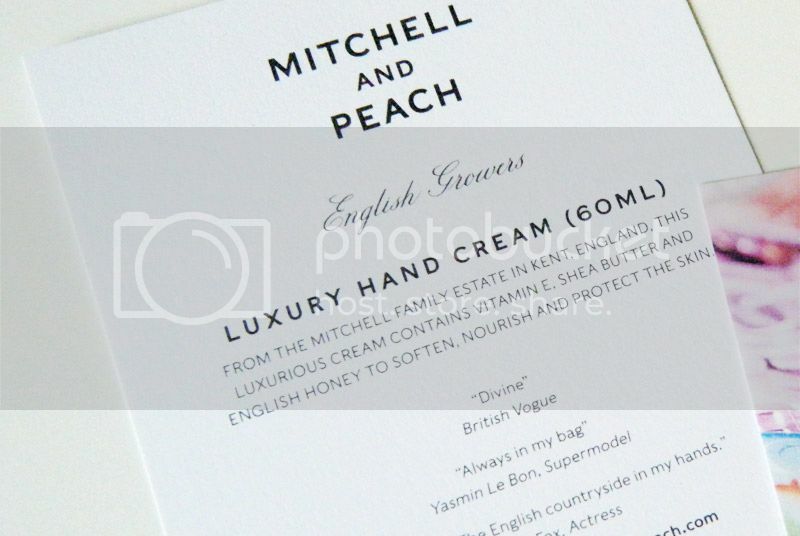 La crema de manos de Mitchell and Peach (20.00€/60ml) se absorbe muy rápido y deja un olor buenísimo, creo que pocas cremas de manos he usado antes que huelan mejor. Su precio es un poco elevado pero merece la pena. I hoard stuff and then I forget that I have it. 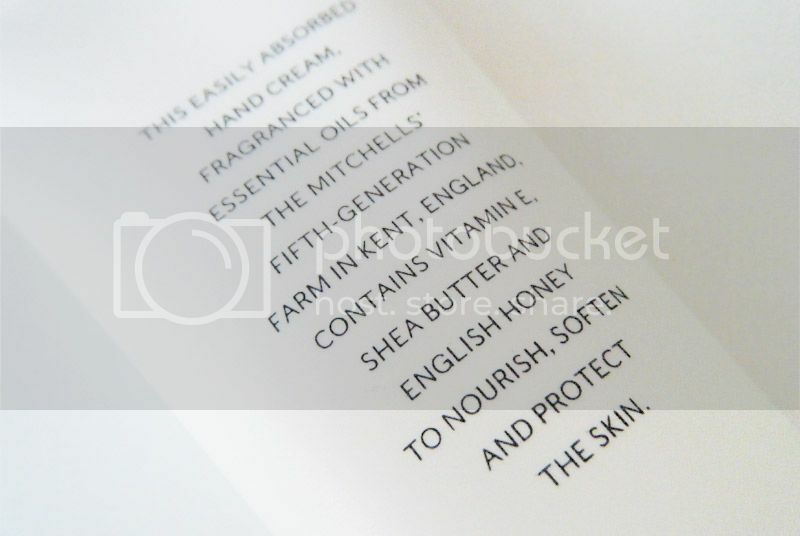 By the end of last summer I got on a beauty box this hand cream, I've been using it for the last couple of weeks and I've just fallen in love with it. 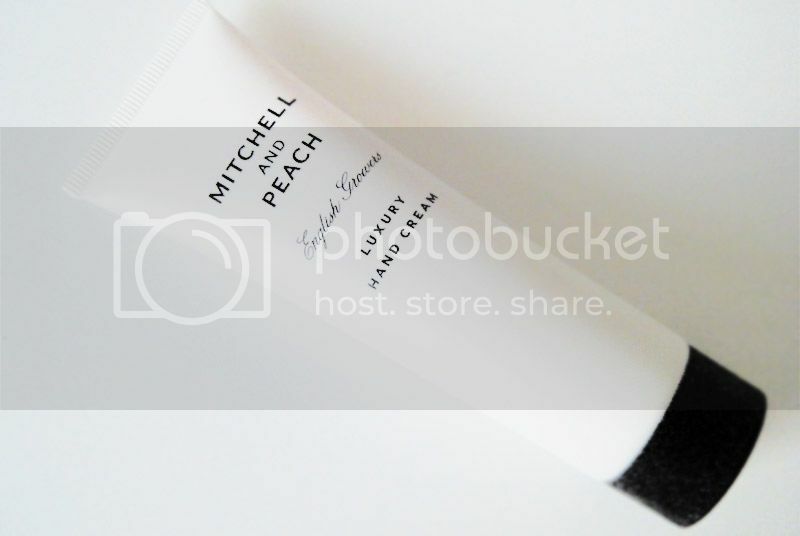 This Mitchell and Peach hand cream (20.00€/60ml) gets absorbed pretty quickly and leaves and amazing scent, really not many other hand creams I've used before smell this good. It's price is a bit steep but it does pay off.